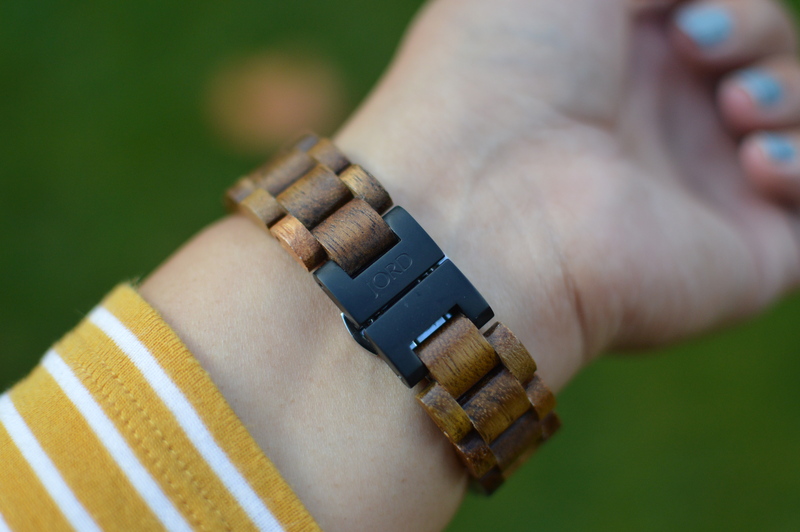 Wooden watches are the in thing. I saw some in a display in a local art gallery shop, but the collection at Jord Wood Watches is just something else. 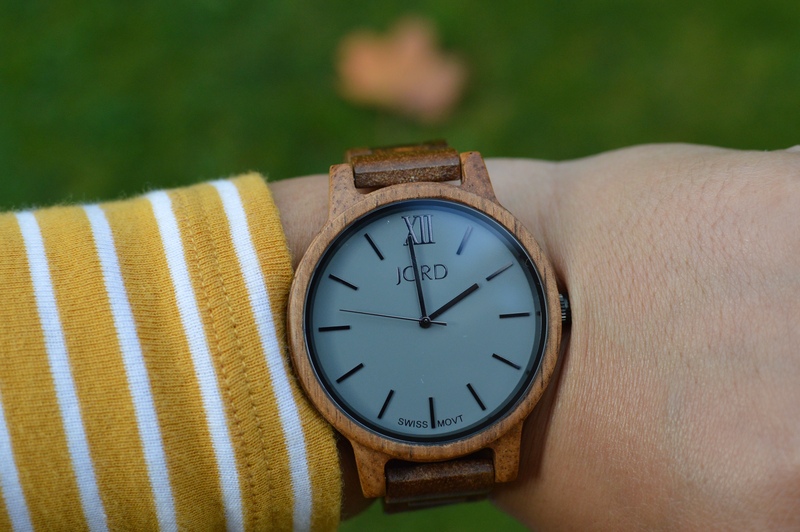 Jord approached me and asked me to collaborate and do an honest review on one of their Fall Collection Wooden Watches. I took one look and knew they fit my style perfectly so happily agreed, although I was a bit nervous about writing something style related. 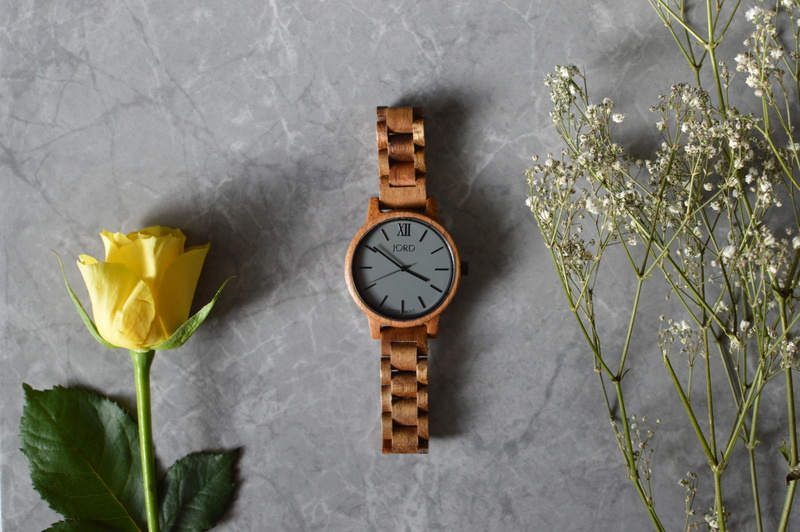 I got to choose from 4 models and the one I settled on, is this beautifully crafted Koa & Ash watch from the Frankie series, check it out here. The beautifully warm tones of the grain appealed to me along with the grey face. Those who know me can testify to my love of all things grey, and I knew this timepiece would complement any of my outfits, especially as we head into Autumn (or Fall if you’re reading in the U.S!). Koa wood is native to Hawaii and depending on the harvest season, it will produce tones that range from medium gold to reddish brown, similar to mahogany. 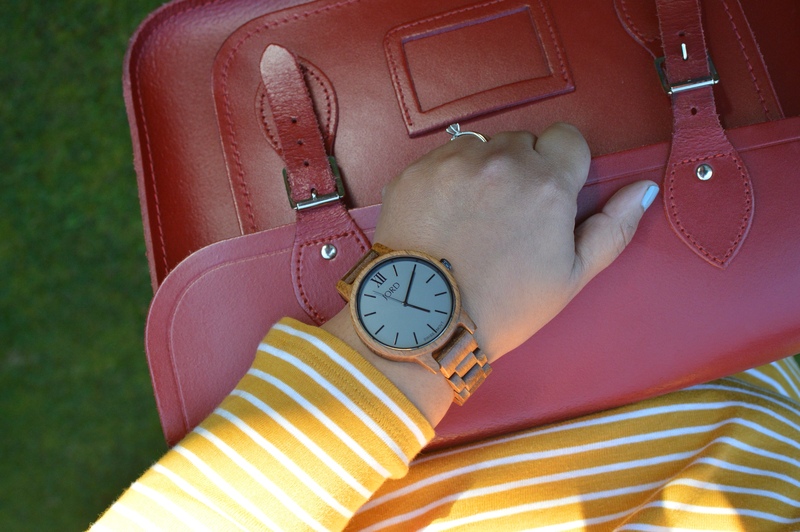 As the leaves started to turn from green to that gorgeous golden colour, I couldn’t wait for my watch to arrive because I was already planning how to style it. Does it sound lame if I say I could already visualise pairing it with my denim shirt, a huge scarf and my red leather satchel?! Or imagining it on my dressing table. . . Yeah it probably does sound lame, don’t judge me. It took just over a week to arrive from the U.S and the wait was well worth it. It’s a lot lighter than I was expecting and the quality really impressed me. It fit perfectly and I loved how it looked on my wrist. It feels entirely different to wearing a leather strap or a plastic strap (not at all sweaty). It’s a unique watch for sure, I’ve received so many compliments from friends and family when I’ve worn it, which usually results in me removing it so they can take a closer look or try it on. 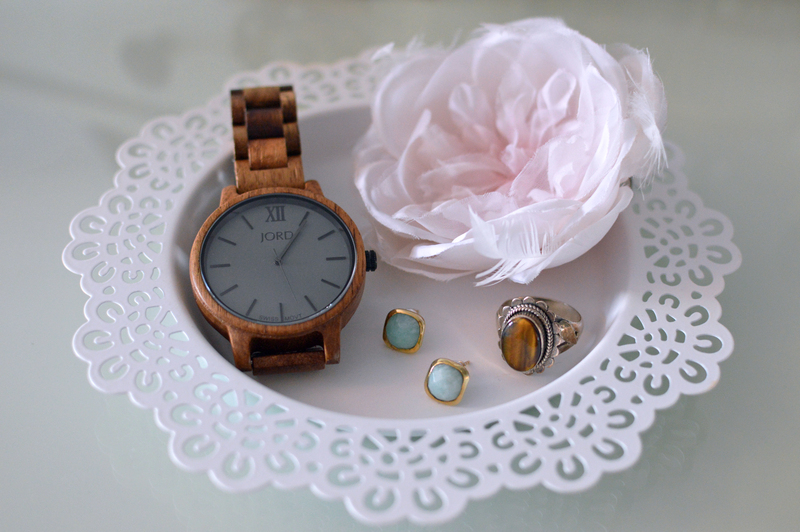 As I’ve never owned a wooden watch, I wasn’t sure how to look after it. 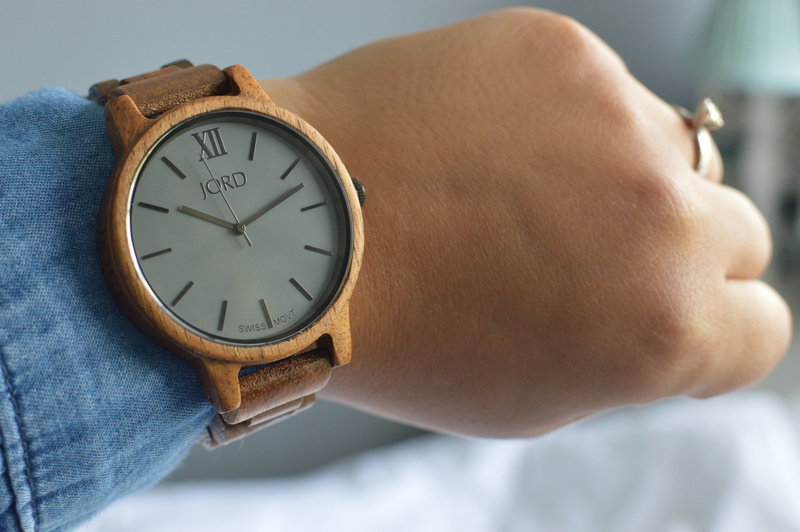 Jord recommend using lemon oil to care for your wooden timepiece. I’ve only had it a few weeks but I’m careful to put it back in the cute wooden box it came beautifully packaged in, after each time I’ve worn it. So far, my favourite way to wear it is with my mustard striped long-sleeved tshirt, grey skinny jeans, black Nikes and my red leather Cambridge Satchel. 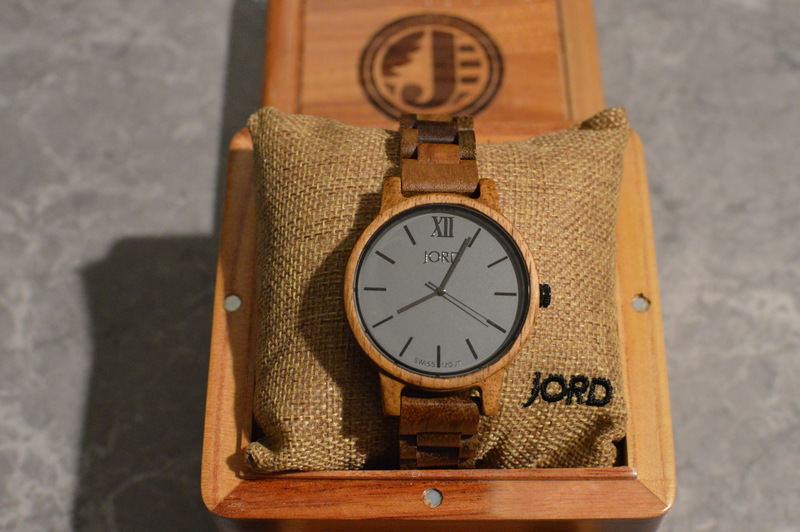 If you’re looking for a new watch, definitely check out Jord, they have free shipping worldwide (not including import/duty taxes), I love mine! It looks great on you – it’s a lot bigger on than I expected after seeing it on your dressing table! The grey and brown look fab.